Online dating sites in Ecuador are huge and are similar in size and quality to what you would find should you decide to do online dating in Peru. The sites I mention below have a large number of people and are, therefore, quite popular with foreigners (or Ecuadoreans for that matter) looking for love in this beautiful country. Ecuadoreans have beautiful people. They don’t have the jaw-dropping beauty that you will find in other South American countries like Colombia or Brazil however, you will find some stunners here and there. 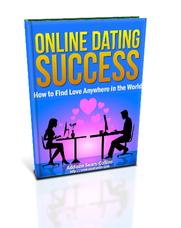 By putting a lot of time and effort into searching for someone to date on the sites below (and especially the first site I mention), you will find that online dating in Ecuador is like “shooting a fish in a barrel.” In other words, after a few weeks of messaging back and forth and sending lots of messages, you should be getting multiple telephone numbers and multiple dates. Online dating is what you make of it. The harder you work…the luckier you get. Without further ado, here is the quick list of the top two dating sites in Ecuador. I’ll go into more detail in my reviews below. Latin American Cupid is the best place to find love in Ecuador. The site has thousands of members. 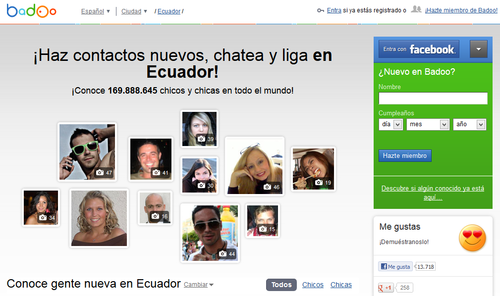 A simple search of women 21-35 who live in Ecuador will turn up more than 1000 profiles. The quality of the profiles and people on the site is also the best of any other dating site on the web servicing Ecuador. A massive worldwide online dating site launched in 2006, Badoo is a second option if you are looking to date someone in Ecuador. It is a step down from Latin American Cupid in terms of quality, but it is still worth setting up a profile. You will have to weed through a lot of frogs on this site though before you find your prince or princess. Because of my issues with the quality of profiles on Badoo, I would not focus on it as a starting point for my dating search.